It’s Derby time, so start making plans to come out and play, Louisville! Fest-a-ville on the Waterfrontkicks off April 28. This is a part of the bigger, ongoing 2011 Derby Festival. 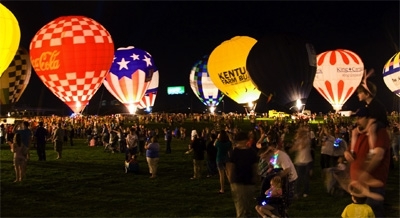 Balloon races, great music and awesome food are just some of the things that will draw the crowds to the waterfront. There will even be helicopter rides this year! 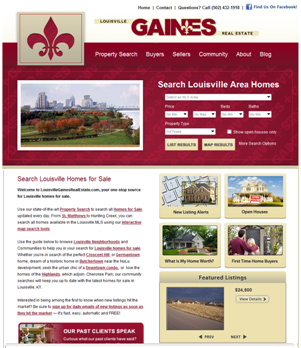 Louisville Gaines Real Estate has a new website! Just made live at http://louisvillegainesrealestate.com/, this beautiful site created bySierra Interactiveshows off the Possibility City of Louisville and shows off the possibilities it offers for everyone who wants to buy or sell a home here! As the principle broker at a growing firm, I wanted my new site to be easy to use and make you confident that I am interested in working with you as you achieve your real estate dreams. My home page presents a few shots of the city. With so many interesting scenes to present, it was a hard choice to capture the essence of Louisville in a just a handful of pictures, so I picked a few that showed the history, the architecture, the fun, and the beauty of the city. But why do you come to a website? To see pictures or get down to business? With that in mind, my search for Louisville homes module is right at the top of the page. It’s Derby time! 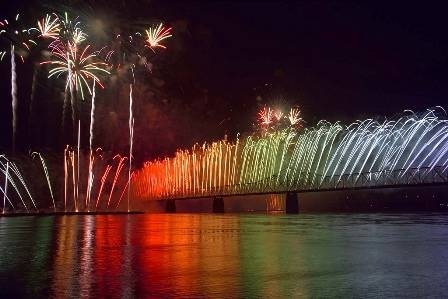 Let the fun begin with Thunder Over Louisville! Thunder Over Louisville is rated one of the top 100 events in North America. More than half a million people will come out to celebrate the kick-off of the Derby Festival on April 16. The signature part of the celebration, as always, will be the incredible fireworks display!